Our Pre-Season Banquet is scheduled for Monday, Feb. 11, 2019 at 6:00 pm in the Freshman Academy Cafetorium. Brewer Hicklen, former HHS and UAB baseball player and currently in the Kansas City Royals organization, will be the guest speaker. The cost of the meal is $10 per person. We need EVERY person that is eating to please RSVP. Do NOT include your baseball player when you RSVP. Their meal will be covered. Please pay online if at all possible - there will be a small service fee for each ticket purchased online. There will be a check-in table at the West entrance of the Freshman Academy Cafetorium. Please check in at the table and pay by check if you have not already paid. Please click on the "2019 Pre-Season Banquet" title above to RSVP!! The Huntsville High Baseball Organization is excited about our upcoming season! 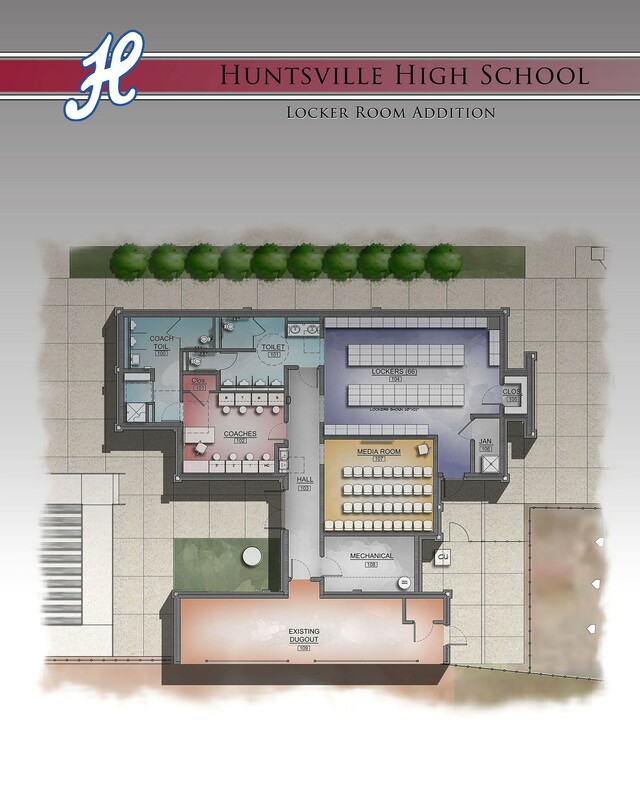 Together with your help, we've built a state-of-the-art locker room facility at our Huntsville High campus. This new facility allows future (Junior Panthers) and current HHS players to enjoy team camraderie, develop good sportsmanship and celebrate our achievements. Your commitment to the Huntsville High Baseball program is still needed. Please consider making a contribution to reduce construction debt and assist with ongoing operating costs. We look forward to continuing the winning tradition of HHS Panther Baseball, and we appreciate your support! HHS Baseball Booster Club is a 501(c)(3) charitable organization.